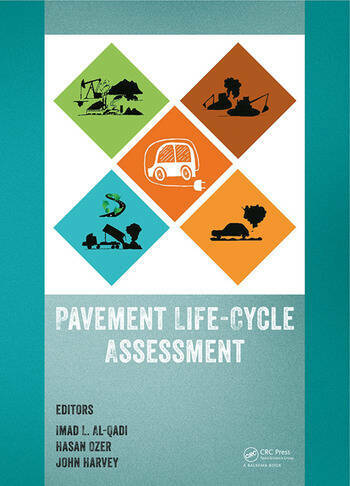 Pavement Life-Cycle Assessment will be of interest to academics, professionals, and policymakers involved or interested in Highway and Airport Pavements. Imad L. Al-Qadi is the Founder Professor of Engineering at the University of Illinois at Urbana-Champaign. He is also the Director of the Advanced Transportation Research and Engineering Laboratory (ATREL) and the founding Director of the Illinois Center for Transportation (ICT). Prior to that, Imad holds a Ph.D. degree from Penn State University and he was the Charles E. Via, Jr. Professor at Virginia Tech. A registered professional engineer, Professor Al-Qadi has authored/ coauthored around 600 publications and has delivered more than 550 presentations including numerous keynote lectures. He has led more than 120 projects to completion; in addition, he is managing about 50 projects annually as an ICT director since 2006. He is the past president of the ASCE T&DI Board of Governors and the Editor-in-Chief of the International Journal of Pavement Engineering. Professor Al-Qadi is an Honorary Professor at several universities in Europe and China. His expertise is on highway and airfield pavement mechanics and evaluation, tire-pavement interaction, electromagnetic wave interactions with civil engineering materials and ground penetrating radar (GPR), asphalt rheology, geosynthetics, instrumentation, pavement sustainability, life cycle assessment, and forensic engineering and arbitration. Hasan Ozer is a Research Assistant Professor in the Department of Civil and Environmental Engineering at the University of Illinois at Urbana-Champaign. Hasan Ozer holds a B.S. from the Middle East Technical University, Turkey, M.S. 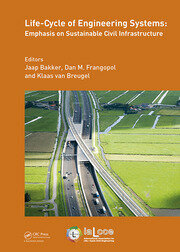 from Northwestern University, and Ph.D. from the University of Illinois at Urbana-Champaign, all in civil engineering. 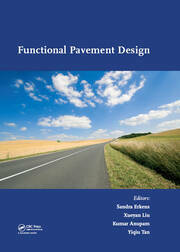 Dr. Ozer currently serves as principal and/or co-principal investigator on several Illinois Department of Transportation and Federal Highway Administration sponsored studies on the development of sustainable pavement systems, life-cycle assessment of pavement systems, and recycled material characterization. He has also assisted in the development of testing protocols investigating pavements constructed with recycled and alternative materials. John Harvey is a Professor of Civil Engineering at the University of California, Davis and chair of the Transportation Technology and Policy graduate group. He is Director of the University of California Pavement Research Center (UCPRC), which has an ongoing partnership of the University of California (Davis and Berkeley) and the California Department of Transportation for research and development of a wide range of pavement technology. He is principal investigator for research, development and implementation projects covering a wide range of pavement materials, design, management, cost and environmental topics for Caltrans, FHWA, FAA, CalRecycle, the California Air Resources Board and industry. His BSCE is from Oregon State University and his graduate degrees are from UC Berkeley. He is a registered civil engineer in California. He initiated the series of pavement LCA conferences in 2010.